EZVIZ, Inc. and its affiliates (collectively “EZVIZ”) provide the following services for use in conjunction with various EZVIZ Internet-connected products (“Products”): (1) a EZVIZ user website that may be accessed at www.ezvizlife.com, and all associated sites connected with www.ezvizlife.com (the “Website”); (2) online services accessible through the Website (“Web Apps”); (3) software applications that can be downloaded to a mobile device (“Mobile Apps”); and (4) any services available on the Website, Web Apps and Mobile Apps, including paid subscriptions to EZVIZ’s cloud storage services and other paid features (“Available Services”). The term “EZVIZ Services” means the Website, Web Apps, Mobile Apps, and Available Services. You acknowledge and agree that the EZVIZ Services and Products are not certified for emergency response. EZVIZ makes no warranty or representation that use of the EZVIZ Services or Products with any third-party product or service will affect or increase any level of safety or security. The EZVIZ Services and Products are not a third-party monitored emergency notification system -- EZVIZ will not dispatch emergency authorities to your home in the event of an emergency. All life threatening and emergency events should be directed to appropriate response services. EZVIZ reserves the right to make changes to these Terms over time. We will notify you through the EZVIZ Services or via email if we make material modifications. Continued use of any EZVIZ Service following this notice will indicate your acknowledgment and agreement to be bound by the revised Terms. You are expected to check this page from time to time so you are aware of any changes, as they are binding on you. These Terms govern your use of EZVIZ Service. Your purchase of any Product is governed by the limited warranty provided with that Product. You are prohibited from registering a Product for use with the EZVIZ Service or from using the EZVIZ Service unless you are 18 years of age or older, or above the age of equivalent minimum age in the relevant jurisdiction. You may not use the EZVIZ Service where prohibited by applicable law. If you are not 18 years of age or older, or under equivalent minimum age in the relevant jurisdiction, you must have your parent or legal guardian register a Product or create an Account to use the EZVIZ Service. Please Contact Us if you believe your child has provided us with personal information in connection with the EZVIZ Services. 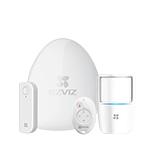 To use your Product via EZVIZ Services, you are required to create an Account. You represent and warrant that: (i) all required registration information you submit is truthful, accurate and complete; (ii) you will maintain the accuracy, security, and confidentiality of such information; and (iii) your use of the EZVIZ Service does not violate any applicable law or regulation. You have no right to transfer your Account to any other individuals in any manner. EZVIZ is not liable for any loss or damages arising from your failure to maintain the confidentiality of your Account. You agree to notify EZVIZ immediately of any unauthorized access to or use of your Account or any breach of security. Use of certain Products or discrete functionality may require Internet access and registration to the EZVIZ Services. You must have the necessary hardware, software, and Internet access needed to register and use the Product with the EZVIZ Services. The EZVIZ Services will not be accessible without: (i) a working Wi-Fi network that is positioned to communicate reliably with our Products; (ii) a computer or a mobile device with Android OS or Apple iOS to pair the Products with its nearby Wi-Fi network; (iii) an Account; (iv) always-on broadband Internet access; and (v) other system elements that may be specified by EZVIZ in connection with specific Products. 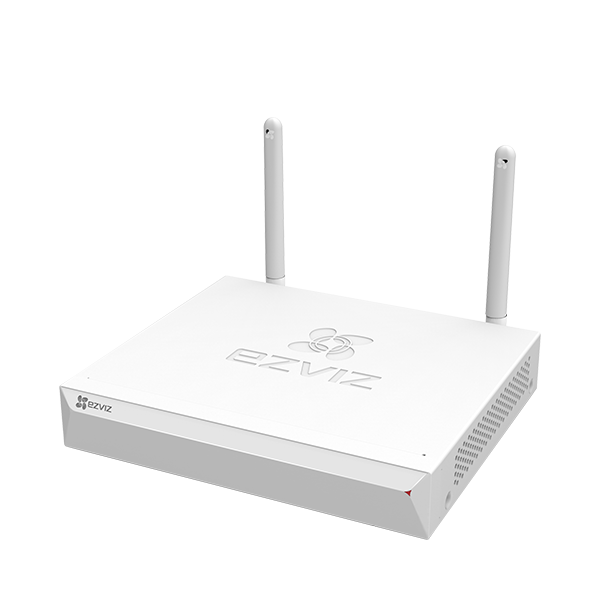 In addition, you acknowledge that EZVIZ may activate Bluetooth or Wi-Fi services on your device, with or without prior notification, in order to facilitate proper registration of the Product, and connectivity and registration to the EZVIZ Service. EZVIZ may change, upgrade, discontinue, or temporarily suspend any feature or component of the EZVIZ Service at any time without notice. 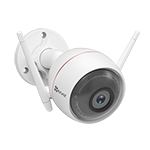 EZVIZ cannot guarantee and makes no warranties that any software updates can be implemented on any Product or that changes to the EZVIZ Service will operate as intended. 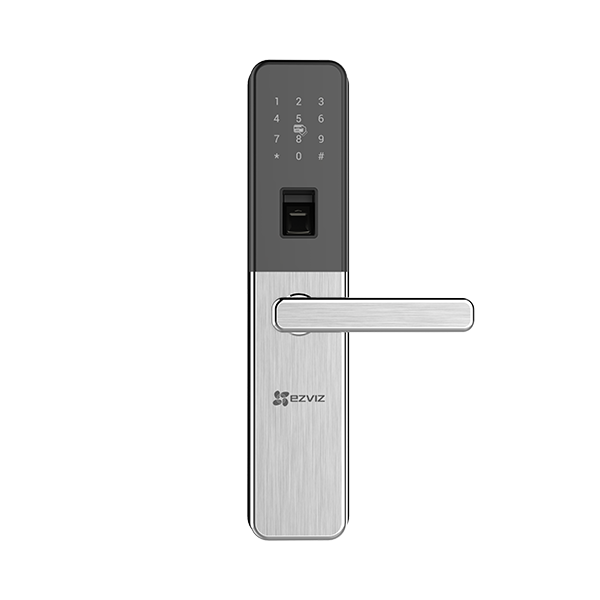 You acknowledge that you may be required to install software updates to use the EZVIZ Services with your Product, and you agree to promptly install such updates we provide. You are solely liable for any losses arising from a failure to timely implement such updates. These Terms will remain in full force and effect as long as you continue to access or use the EZVIZ Services, or until terminated in accordance with the provisions of these Terms. At any time, and without prior notice, EZVIZ may suspend or terminate your rights to use the EZVIZ Services if EZVIZ believes in good faith that you have used an EZVIZ Service in violation of these Terms. If you transfer a Product to a new owner, your right to use the EZVIZ Services with respect to that Product automatically terminates, and the new owner will have no right to use the Product or the EZVIZ Services under your Account and will need to register for a separate Account with EZVIZ. Upon termination of your Account, your right to use the EZVIZ Services will automatically terminate and we may delete Your Content and other information related to your Account at the end of your subscription period. You may terminate your Account at any time by using “Delete Account” to close your Account or Contact Us. Subject to your compliance with these Terms, EZVIZ grants you a revocable, limited, non-exclusive, non-transferable, non-sub-licensable license to install and use (a) Mobile Apps, and (b) any embedded firmware in the Product and updates (“Other Software”), in each case solely in connection with your personal, non-commercial use of the Product and the EZVIZ Service. You may only use the Mobile Apps on devices that you own, lease, or otherwise control. No other licenses or rights are granted to you by implication or otherwise under any intellectual property rights owned or controlled by EZVIZ or its licensors. Unless as expressly permitted in these Terms, you agree not to, and you will not permit others to, (i) license, sublicense, assign, convey or transfer, the rights and licenses granted hereunder; (ii) publish, display, disclose, sell, rent, lease, store, loan, distribute, transmit, publicly display or perform, co-brand, frame, host, outsource, or otherwise commercially exploit the EZVIZ Services, including the Mobile Apps and Other Software (collectively, the “Software”), (iii) copy or reproduce the EZVIZ Services or Software or any part thereof, in any form; (iv) remove or alter any trademark, logo, copyright or other proprietary notices, legends, symbols or labels in the Software or EZVIZ Services; (v) use the Software and EZVIZ Services in any fashion that may infringe any patent, copyright, trademark, trade secret, or any other intellectual property or proprietary right of EZVIZ, its third-party providers, or any other third-party; (vi) modify, translate, adapt, disassemble, reverse engineer decompile, reverse compile, or create compilations or derivative works of, the Software, EZVIZ Service, or any part thereof (except to the extent applicable laws specifically prohibit such restriction), or (vii) use the Software or EZVIZ Services for any service bureau, time-sharing, resale, or similar purposes. 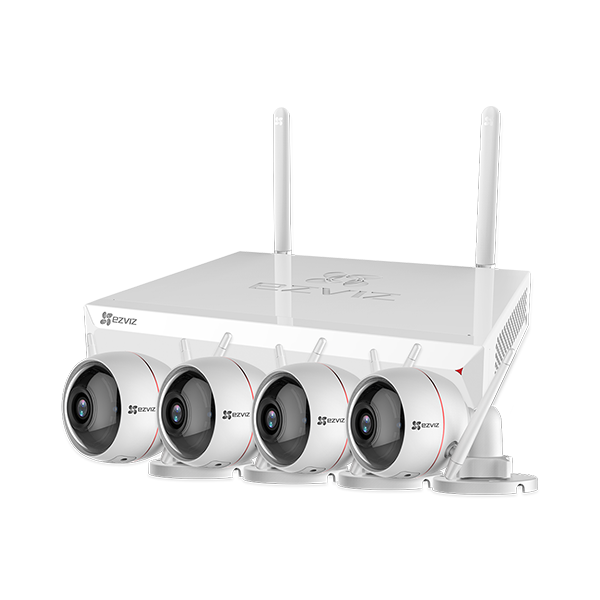 EZVIZ reserves all rights and licenses in and to the Software not expressly granted to you under these Terms. EZVIZ PROVIDES THE SOURCE CODE TO YOU ON AN "AS IS" BASIS WITHOUT REPRESENTATIONS OR WARRANTIES OF ANY KIND. YOU EXPRESSLY AGREE THAT YOUR USE OF THE SOURCE CODE IS AT YOUR SOLE RISK. TO THE FULL EXTENT PERMISSIBLE BY APPLICABLE LAW, EZVIZ AND ITS AFFILIATES DISCLAIM ALL WARRANTIES, EXPRESS OR IMPLIED, INCLUDING, BUT NOT LIMITED TO, IMPLIED WARRANTIES OF MERCHANTABILITY AND FITNESS FOR A PARTICULAR PURPOSE. EZVIZ AND ITS AFFILIATES WILL NOT BE LIABLE FOR ANY DAMAGES OF ANY KIND ARISING FROM THE USE OF THE SOURCE CODE, INCLUDING, BUT NOT LIMITED TO DIRECT, INDIRECT, INCIDENTAL, PUNITIVE, AND CONSEQUENTIAL DAMAGES. You may access and use the EZVIZ Services solely for the purposes of (a) operating, managing, monitoring, and maintaining the Products, (b) viewing, sharing, and storing video, audio, and other content captured and transmitted by the Products to the EZVIZ Services, and (c) to subscribe to EZVIZ Services, manage your Account and preferences, and maintain your registration data. §violate any applicable federal, state, local, or international law or regulation (including, without limitation, any law regarding the export of data or software to and from the U.S. or other countries). These Terms shall apply to any future update, release, or other change to the Services. You may elect to display, share, email, or otherwise make available (collectively, “Submit”) text, graphics, photographs, video, images, audio, and other works of authorship via the Product or directly into the EZVIZ Services, including for storage and sharing with third parties online (“Your Content”). When you post Your Content in publicly accessible sections of the EZVIZ Services or third party social networking sites via the EZVIZ Services, such content will be accessible and viewed by others. You are solely responsible for Your Content submitted through the EZVIZ Service, and EZVIZ will not be liable for any errors or omissions in Your Content. EZVIZ may also make available on the EZVIZ Services text, graphics, photographs, video, images, illustrations, audio, music, commentary, and other works of authorship it owns or from other users of the EZVIZ Services (“EZVIZ Content”). EZVIZ Content, along with the EZVIZ Services and its underlying technology, are protected by copyright, trademark, patent, intellectual property, and other laws of relevant jurisdiction and other countries. You may access and view EZVIZ Content solely for personal use and consumption, and are prohibited from copying, selling, renting, distributing (including through digital distribution), publicly performing (including through digital performance), marketing, making derivative works, or otherwise exploiting such EZVIZ Content without EZVIZ’s prior written consent. EZVIZ makes no endorsement, representation or warranty of any kind about Your Content or EZVIZ Content, or any information, services or recommendations accessed through the EZVIZ Services. We are not responsible for the accuracy, reliability, effectiveness, or correct use of information you receive through the EZVIZ Service. You agree that all Your Content and EZVIZ Content accessed by you using the EZVIZ Service is at your own risk and you will be solely responsible for any damage or loss to any party resulting therefrom. You hereby release us from all liability for you having acquired or not acquired Your Content or EZVIZ Content through the EZVIZ Service. By making Your Content available on or through the EZVIZ Services you grant to EZVIZ a non-exclusive, transferable, sub-licensable, worldwide, royalty-free, perpetual, irrevocable right and license to use, copy, modify, publicly display, publicly perform, and distribute Your Content in connection with operating and providing the EZVIZ Services to you. We also have the right to reformat, create derivative works of, excerpt, translate, modify, or otherwise change any of Your Content for storage and viewing via the EZVIZ Services. When you post or share Your Content for public viewing, you grant EZVIZ the right and license to copy, distribute, license, market, perform, display, distribute, exploit, and create derivative works of Your Content without any restriction or compensation to you, in any medium or via any channel now known or later discovered. Such licenses and rights shall be sub-licensable by EZVIZ. You represent and warrant that you own Your Content or that you have all rights necessary to Submit Your Content in the manner in which you choose and to grant us a license to use Your Content as described in these Terms. You warrant, represent, and agree that Your Content and the use and provision of Your Content on the EZVIZ Services as provided in these Terms will not: (i) infringe, misappropriate or violate a third party’s patent, copyright, trademark, trade secret, or other intellectual property rights, or rights of publicity or privacy, or other rights; (ii) violate, or encourage any conduct that would violate, any applicable law, statute, regulation, or ordinance, or would give rise to civil liability; (iii) be fraudulent, false, misleading, deceptive, defamatory, tortuous, obscene, harmful, pornographic, vulgar, offensive, or otherwise objectionable; (iv) promote discrimination, racism, hatred, harassment or harm against any individual or group; (v) be violent, threatening, abusive, or promote violence or actions that are threatening or abusive to any person or entity; or (vi) promote illegal or harmful activities or substances. All comments, suggestions, feedback, or ideas Submitted by you about the EZVIZ Services are EZVIZ’s property and we may access, copy, modify, redistribute, publish, or otherwise use them for any purpose and in any way without due compensation to you. EZVIZ does not waive any right to use similar ideas previously known to us or developed by us. The EZVIZ Services may contain several individual services, including but not limited to CloudPlay Services and Online Shopping Services. If you choose to use such individual services, you agree to further comply with the corresponding terms for such services. The EZVIZ Services are intended to be accessed and used for non-time-critical information and control of products. While we strive for the EZVIZ Services to be highly reliable and available, it is not intended to be reliable or available 100% of the time. The EZVIZ Services are subject to sporadic interruptions and failures for a variety of reasons beyond our reasonable control, including wi-fi intermittency, service provider uptime, mobile notifications and carriers, among others. You acknowledge these limitations and agree that EZVIZ is not responsible for any damages allegedly caused by the failure or delay of the EZVIZ Services to reflect current status of the Product, notifications, or timing of your content. 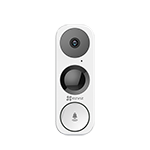 The EZVIZ Services may be suspended temporarily without notice for security reasons, system failure, maintenance and repair, updates, adjustments, or other circumstances. You acknowledge and agree that you will not be entitled to any refund or rebate for any such suspension. EZVIZ does not offer any specific uptime guarantee for the EZVIZ Services. EZVIZ is not liable for any losses arising from a suspension of the EZVIZ Services. All information concerning the EZVIZ Service and use of the Product with the EZVIZ Service is provided “as is” and “as available”. EZVIZ does not guarantee that this information is correct or up to date. Accessing the information through the EZVIZ Service is not a substitute for direct access to the information in or on the Product itself. Although EZVIZ cares about the security, integrity, and availability of your content and personal information, we cannot guarantee the security of your personal information. You acknowledge that you provide your content and your personal information at your own risk. The EZVIZ Services rely on certain third party products and services. For example, some aspects of the EZVIZ Services – such as data storage, synchronization, and communication – are enabled by Amazon Web Services. As another example, we rely on mobile operating system vendors and mobile carriers to enable mobile device notifications through the EZVIZ Services. These third party products and services are beyond our control, and their operation may not operate in a reliable manner or be available 100% of the time. EZVIZ is not responsible for any damages and losses due to the operation of these third party products and services. You acknowledge and agree that the availability of the Mobile Apps is dependent on the third party web services from which you download the Mobile Apps – for example, the Android app market from Google or the App Store from Apple (each an “Store”). You acknowledge that these Terms are between you and EZVIZ exclusively and not with a Store. Each Store may have its own terms and conditions to which you must agree before downloading Mobile Apps from that Store. You agree to comply with, and your license to use the Mobile Apps, is conditioned upon your compliance and agreement with such Store terms and conditions. To the extent such other terms and conditions from such Store are less restrictive than, or otherwise conflict with, the terms and conditions of these Terms, the more restrictive or conflicting terms and conditions in these Terms apply. EZVIZ is not responsible for third parties or their products and services, including, without limitation, any third party products and services that enable the EZVIZ Services, equipment, ISPs, carriers, the App Stores, Third Party Sites, and Referred Vendors. EZVIZ HEREBY DISCLAIMS AND YOU HEREBY DISCHARGE, WAIVE AND RELEASE EZVIZ AND ITS LICENSORS AND SUPPLIERS FROM ANY PAST, PRESENT, AND FUTURE CLAIMS, LIABILITIES, AND DAMAGES, KNOWN OR UNKNOWN, ARISING OUT OF OR RELATING TO YOUR INTERACTIONS WITH SUCH THIRD PARTIES AND THEIR PRODUCTS AND SERVICES. YOU HEREBY WAIVE CALIFORNIA CIVIL CODE SECTION 1542 IN CONNECTION WITH THE FOREGOING, WHICH STATES: “A GENERAL RELEASE DOES NOT EXTEND TO CLAIMS WHICH THE CREDITOR DOES NOT KNOW OR SUSPECT TO EXIST IN HIS OR HER FAVOR AT THE TIME OF EXECUTING THE RELEASE, WHICH IF KNOWN BY HIM OR HER MUST HAVE MATERIALLY AFFECTED HIS OR HER SETTLEMENT WITH THE DEBTOR.” YOU HEREBY WAIVE ANY SIMILAR PROVISION IN ANY OTHER JURISDICTION. TO THE MAXIMUM EXTENT PERMITTED BY APPLICABLE LAW, THE EZVIZ SERVICE (I.E. THE WEBSITE, THE MOBILE APPS, SUBSCRIPTION SERVICES, AND SOFTWARE) ARE PROVIDED FOR YOUR CONVENIENCE, “AS IS”, AND “AS AVAILABLE” WITH ALL FAULTS AND ERRORS, AND EZVIZ AND OUR SUPPLIERS AND LICENSORS EXPRESSLY DISCLAIM ANY WARRANTIES AND CONDITIONS OF ANY KIND, WHETHER EXPRESS, IMPLIED, OR STATUTORY, INCLUDING, WITHOUT LIMITATION, MERCHANTABILITY, FITNESS FOR A PARTICULAR PURPOSE, ACCURACY, TITLE, QUIET ENJOYMENT, NON-INFRINGEMENT OF THIRD-PARTY RIGHTS, AVAILABILITY, DATA SECURITY, AND ANY WARRANTIES ARISING OUT OF COURSE OF DEALING OR USAGE OF TRADE. EZVIZ DOES NOT WARRANT, ENDORSE, GUARANTEE, OR ASSUME RESPONSIBILITY FOR ANY PRODUCT, SOFTWARE OR SERVICE ADVERTISED OR PROVIDED BY A THIRD PARTY THROUGH OR IN CONNECTION WITH THE EZVIZ SERVICE (INCLUDING, BUT NOT LIMITED TO, CLOUD SERVICES) OR ANY HYPERLINKED WEBSITE OR SERVICE. EZVIZ MAKES NO REPRESENTATIONS CONCERNING ANY CONTENT CONTAINED IN OR ACCESSED THROUGH THE SERVICES, AND EZVIZ WILL NOT BE RESPONSIBLE OR LIABLE FOR THE ACCURACY, COPYRIGHT COMPLIANCE, LEGALITY OR DECENCY OF MATERIAL CONTAINED IN OR ACCESSED THROUGH THE EZVIZ SERVICES. 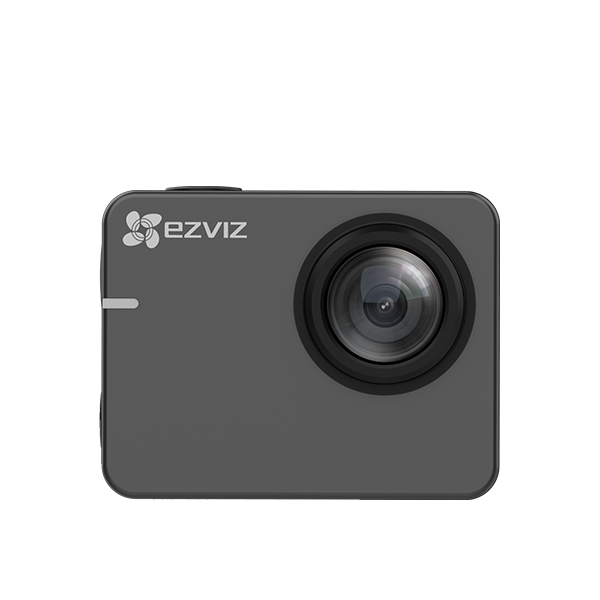 EZVIZ MAKES NO REPRESENTATIONS OR WARRANTIES REGARDING SUGGESTIONS OR RECOMMENDATIONS OF SERVICES OR PRODUCTS OFFERED OR PURCHASED THROUGH THE EZVIZ SERVICE. YOU ACKNOWLEDGE THAT THE USE OF THE EZVIZ SERVICE SHALL BE CONNECTED WITH THE INTERNET, AND USE SHALL BE WHOLLY AT YOUR OWN RISK. EZVIZ DOES NOT REPRESENT OR GUARANTEE THAT THE EZVIZ SERVICE WILL BE FREE FROM LOSS, CORRUPTION, CYBER ATTACK, VIRUSES, INTERFERENCE, HACKING, MALWARE, OR OTHER SECURITY INTRUSION, AND EZVIZ DISCLAIMS ANY LIABILITY RELATING THERETO. SURVEILLANCE, DATA PROTECTION, AND PRIVACY LAWS VARY BY JURISDICTION AND MAY IMPOSE CERTAIN RESPONSIBILITIES ON YOUR USE OF THE EZVIZ SERVICE. YOU ACKNOWLEDGE AND AGREE THAT YOU (AND NOT EZVIZ) WILL BE RESPONSIBLE FOR ENSURING THAT YOU COMPLY WITH APPLICABLE LAWS WHERE YOU LIVE AND THAT EZVIZ SHALL NOT BE LIABLE IN THE EVENT THAT THE EZVIZ SERVICE IS USED FOR ILLEGAL PURPOSES, INCLUDING, WITHOUT LIMITATION: NON-CIVIL USE; RECORDING OR SHARING VIDEO OR AUDIO CONTENT THAT IS NOT IN CONFORMANCE WITH APPLICABLE LAW; FAILURE TO COMPLY WITH NOTICE AND CONSENT LAWS; INFRINGEMENT OF THIRD PARTY RIGHTS; USE IN CONNECTION WITH MEDICAL TREATMENT, OR OTHER SITUATIONS WHERE THE EZVIZ SERVICE FAILURE COULD LEAD TO DEATH OR PERSONAL INJURY. TO THE MAXIMUM EXTENT PERMITTED BY APPLICABLE LAW, IN NO EVENT WILL EZVIZ, ITS DIRECTORS, OFFICERS, EMPLOYEES, SHAREHOLDERS, AFFILIATES, CONTRACTORS, AGENTS, LICENSORS, OR SUPPLIERS, BE LIABLE FOR ANY INDIRECT, CONSEQUENTIAL, EXEMPLARY, SPECIAL, OR INCIDENTAL DAMAGES, INCLUDING ANY DAMAGES FOR LOSS OF BUSINESS PROFITS, BUSINESS INTERRUPTION, LOST DATA OR CONTENT, DOCUMENTATION, OR PROFITS, SERVICE INTERRUPTION, COMPUTER DAMAGE, COST OF SUBSTITUTE SERVICES, INABILITY TO USE THE EZVIZ SERVICE, PRIVACY LEAKAGE, OR ANY OTHER LIABILITIES OR LOSSES CAUSED BY THE EZVIZ SERVICE OR BY FAILURES OF THE EZVIZ SERVICE, WHETHER BASED ON WARRANTY, CONTRACT, TORT, OR ANY OTHER LEGAL THEORY, AND WHETHER OR NOT EZVIZ KNEW OR SHOULD HAVE KNOWN OF THE POSSIBILITY OF SUCH DAMAGES. TO THE MAXIMUM EXTENT PERMITTED BY APPLICABLE LAW, IN NO EVENT WILL EZVIZ’S TOTAL CUMULATIVE LIABILITY ARISING FROM OR RELATED TO THE EZVIZ SERVICE, WHETHER BASED ON WARRANTY, CONTRACT, TORT, OR ANY OTHER LEGAL THEORY, EXCEED THE FEES ACTUALLY PAID BY YOU TO EZVIZ OR EZVIZ’S AUTHORIZED RESELLER FOR THE EZVIZ SERVICE IN THE PRIOR 6 MONTHS (IF ANY) IMMEDIATELY PRECEDING THE DATE OF THE MOST RECENT CLAIM. THIS LIMITATION IS CUMULATIVE AND WILL NOT BE INCREASED BY THE EXISTENCE OF MORE THAN ONE INCIDENT OR CLAIM. EZVIZ DISCLAIMS ALL LIABILITY OF ANY KIND OF EZVIZ’S LICENSORS AND SUPPLIERS. THE EXCLUSIONS AND LIMITATIONS OF DAMAGES SET FORTH ABOVE ARE FUNDAMENTAL ELEMENTS OF THE BASIS OF THE BARGAIN BETWEEN EZVIZ AND YOU. You agree to defend, indemnify, and hold EZVIZ, its directors, officers, employees, shareholders, affiliates, contractors, agents, licensors, and suppliers harmless from any damages, liabilities, claims, demands, losses, or expenses, including attorneys’ fees, made by any third party due to or arising out of or in connection with (i) your use of the EZVIZ Services and Products which constitutes a culpable (negligent or willful) violation of these Terms and any other information issued by EZVIZ; (ii) your culpable violation of these Terms; (iii) Your Content (to the extent it causes a culpable infringement), and (iv) your culpable violation of any law or the rights of any third party. EZVIZ will use reasonable efforts to notify you of any such claim, action or proceeding without undue delay upon becoming aware of it. All matters arising out of or relating to these Terms are governed by and construed in accordance with the laws of People’s Republic of China, without giving effect to any conflict of laws principles that may provide the application of the law of another jurisdiction. You agree all disputes arising out of or relating, in any way, to these Terms or your use of the Website, on an individual and purely bilateral, non-class/non-representative bases, shall be resolved by means of arbitration and shall be submitted exclusively to the China International Economic and Trade Arbitration Commission (“CIETAC”) in Beijing in accordance with CIETAC rules. The preceding provision regarding dispute resolution does not apply in some jurisdiction where such dispute resolution may be prohibited. For example, if you are a consumer based in the European Union, you may make a claim in the courts of the country where you reside. Regardless of any statute or law to the contrary, any dispute arising out of or related to your use of the EZVIZ Services must be filed within one (1) year after the occurrence of the event or facts giving rise to a dispute, or you waive the right to pursue any dispute based upon such event or facts forever. You agree to arbitration on an individual basis. In any dispute, NEITHER YOU NOR EZVIZ WILL BE ENTITLED TO JOIN OR CONSOLIDATE CLAIMS BY OR AGAINST OTHER CUSTOMERS IN COURT OR IN ARBITRATION OR OTHERWISE PARTICIPATE IN ANY CLAIM AS A CLASS REPRESENTATIVE, CLASS MEMBER OR IN A PRIVATE ATTORNEY GENERAL CAPACITY. The arbitral tribunal may not consolidate more than one person’s claims, and may not otherwise preside over any form of a representative or class proceeding. The arbitral tribunal has no power to consider the enforceability of this class arbitration waiver and any challenge to the class arbitration waiver may only be raised in a court of competent jurisdiction. These Terms constitute the entire and exclusive understanding between you and EZVIZ with respect to the use of the EZVIZ Services, and these Terms supersede and replace any and all prior oral or written understandings or agreements between EZVIZ and you regarding the EZVIZ Services. EZVIZ’s failure to enforce any right or provision in these Terms will not constitute a waiver of such right or provision or of any other rights or provisions in these Terms. If a court or tribunal should find that one or more rights or provisions set forth in these Terms are invalid, you agree that the remainder of the Terms will remain in full force and effect and that the invalid provision will be enforceable to the fullest extent permitted by law. You may not assign or transfer these Terms and any associated rights or obligations, by operation of law, without EZVIZ’s prior written consent. Any attempt by you to assign or transfer these Terms, without such consent, will be null and of no effect. EZVIZ may freely assign or transfer these Terms without restriction. Subject to the foregoing, these Terms will bind and inure to the benefit of the parties, their successors, and permitted assigns. Should you have any questions, please contact us immediately through the contact information on Contact Us Page. Copyright@2019 EZVIZ Inc. ALL RIGHTS RESERVED.